Bronze, copper, and deep brown wood picture frames offer a nostalgic look which points to the rugged spirit of colonial exploration. Choose from plein aire frame profiles, scooped, rounded, and ribbed styles, and crackled or mottled finishes. This black and gold wood picture frame features an aged vintage look with a distressed feel across the dark finish and on the gold inner lip. The profile width is 1 ½”, and the rabbet depth is a mere 5/16”, so this frame is best paired with thin items such as matted prints, photos, drawings, watercolor paintings, and other works on paper. Oiled bronze with dark gold highlights & crackled broken leaf pattern picture frame. This classic, colonial-style, dark bronze picture frame features multiple protruding linear ridges along the inner lip of the profile, followed by a flat span that leads to a raised outer area of additional ridges and a concave cylindrical scoop. The profile width of this moulding is 3”, and the rabbet depth is 5/8”. The finish has the appearance of oxidized bronze, but the substrate is solid wood. This large, dark bronze wood picture frame offers a traditional look ideal for pastoral landscapes and realistic still life paintings on stretched canvas or rigid hardboard panel. The profile is 4 1/8” wide, and the rabbet depth is 5/8”. The oiled bronze look of this deep scooped wood picture frame offers a sophisticated aged complement to home decor such as beveled mirrors, along with vintage photography, antique maps, ocean vessel illustrations, old documents, and drawings or watercolor paintings. The profile width is 3 5/16”, and the rabbet depth is 5/8”. The rabbet depth of this oiled bronze mirror frame is a mere 3/8”, so the ideal use of this picture frame includes thin materials such as mirrors, art on canvas boards, rigid hardboard panels, and matted works on paper such as prints, posters, photos, and watercolor paintings. Stretched canvas paintings will be too deep for this frame. The brown and copper oiled bronze look of this wood picture frame offers a sultry, mysterious, and complex quality that speaks to vintage timelessness and strength. The profile width is 1”, and the rabbet depth is 1 1/16”, making the shape ideal for both matted works on paper and photographs, and also canvas paintings on stretcher bar. The mottled copper brown finish of this beaded wood picture frame features variations reminiscent of either burl or marbling. The profile begins at the inner lip with a polished bead pattern rising out of a dusty gray wash. The main body of the profile is then rounded in the fashion of a convex half-pipe. A step along the outer edge completes the profile shape, and features a dusty gray wash and a miniature rope pattern. This dark, copper-toned wood picture frame moulding offers a unique, understated metallic look, ideally suited for both contemporary and vintage imagery. The profile shape starts at the inner lip with a slight convex curve across the first inch of the body, followed by a step down, and then a convex rounded shape down toward the outer edge of the picture frame. The overall profile width is 1 ½”. This dark metallic wood picture frame offers the look of forged steel with a chunky square profile shape. The finish is a nuanced dark olive gray tone, with pock marks that simulate a steel surface. The profile width is 1 9/16”, and the rabbet depth is a whopping 1 3/8”, making this frame ideal for art materials up to 1 ½” deep. One of a large family of picture frames with the look of forged oil bronze hammered metal from Larson Juhl. Rugged strong looking picture frame with a finish that resembles metal. This ribbed, ornate bronze picture frame is inspired by European design of the late-British Bronze Age, in which crescent-shaped lunulae ribs were either cast from the back, or hammered by hand from the front. In the case of this historically-inspired moulding, the look of aged bronze is finished over a stamped gesso base, which sits on a wood substrate. Satin bronze picture frame with black wash, metallic bronze appearance. This distressed metallic wood picture frame offers an aged, vintage look and features a series of small steps along the inner lip, followed by an indented reverse bead pattern along an otherwise flat profile face. The width of this profile is 1 ¾”, and the rabbet depth is 3/8”. Metallic copper picture frame, acid etch produces red and brown highlights. This contemporary, metallic, copper-colored picture frame features markings that resemble burst air pockets from molten metal that has solidified. Although the frame is made of wood, the finish is made to look like warm coppery metal. 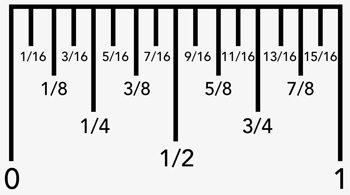 The profile width is ¾”, and the rabbet depth is 9/16”. This warm copper-colored wood picture frame features a metallic finish that is made to look like forged copper, including marks that represent air pockets from molten metal that has solidified. The profile width is 1 5/8” and the rabbet depth is a substantial 1 3/8”, making this warm copper wood picture frame ideal for anything from stretched canvases, to matted works on paper, to beveled mirrors, and much more. The look of forged copper with a hammered finish is what sets this picture frame into a category of uniquely magical designs. The frame looks like copper, but it is in fact finished on a wood substrate. Even the distress markings appear like pock marks from a molten metal that has solidified while air pockets burst across the surface. Dark antique gold with reddish brown highlights & a simulated cracked leaf pattern picture frame. Antique gold with dark green & red highlights & simulated crack leaf pattern picture frame. This opulent, ornate bronze picture frame is a perfect complement to the Italian design aesthetic, with a warm, old world sensibility. 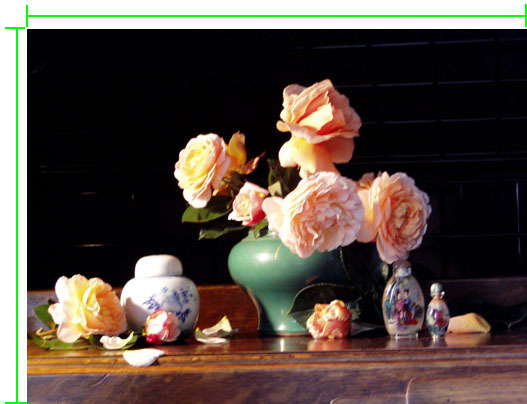 The profile is 1 ¼” wide, with a shallow rabbet depth most suitable for matted works on paper, or a beveled mirror. Oiled bronze with gray green wash wood picture frame with red highlights & an ornate undulating petal pattern. Antique bronze picture frame with a subtle green gray wash & delicate embossed leaf pattern. Antique black picture frame with a subtle green gray wash & delicate embossed leaf pattern. Frame a picture with this oiled bronze ornate frame with gray dusty wash. This moulding has been discontinued. You may call for a quantity check if you like. Frame a picture with this oiled bronze and copper ornate frame with dark gray dusty wash.